Artist retreat resource | Thinking is the enemy. The Alliance of Artists Communities is an organization for folks offering artist and writer retreats of all kinds. You can use their residency directory to search for residencies by location and various other criteria. 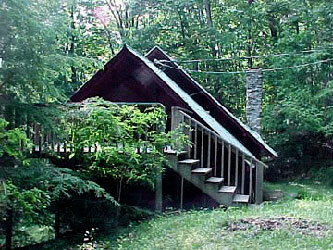 The house here is at Wildacres Retreat, which has hosted more than 300 artists at no charge over the last 13 years.